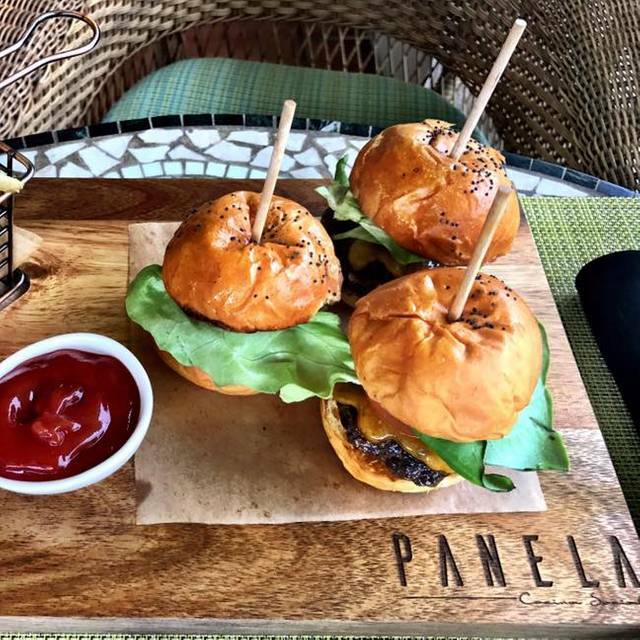 PANELA, cocina social is one of Dorado Beach Resort & Club's culinary jewels. Open to the public, its stunning views, scintillating Caribbean-inspired cuisine, and world-class service caters to your every need. PANELA, cocina social offers a unique and memorable dining experience. Perched on the second floor of the Dorado Beach's Clubhouse "La Hacienda" and open to the public, PANELA, cocina social is an exquisite combination of the Dorado Beach culinary experience and local, seasonal flavors. With its airy view overlooking our glistening fairways stretching out into the formidable mountains beyond, PANELA, cocina social provides a festive and sophisticated atmosphere that's perfect for an evening with the family or client dinner. PANELA, cocina social presents a menu of delectable Caribbean dishes with international pizzazz. Whether you live in Puerto Rico or you're a guest, Club Member or resident of Dorado Beach, make your reservation today. This is the sister restaurant to Melao. It is more casual and kid friendly but with the same great service. The menu is more casual in nature but yet the food quality is high quality. I particularly recommend the fajitas. Overall great experience. Very good value for the resort area. Try the Quesadillas - they’re fantastic. Place was very noisy! People next to us were literally yelling to each other. Service was very good and waitresses nice. Waiting for food to get served WAY TO LONG. They took forever to cook simple plates (ie burgers, fajitas and a wrap). We are not planning to get back in the near future. Country club atmosphere. Friendly staff.... kitchen prep service a little slower than expected. 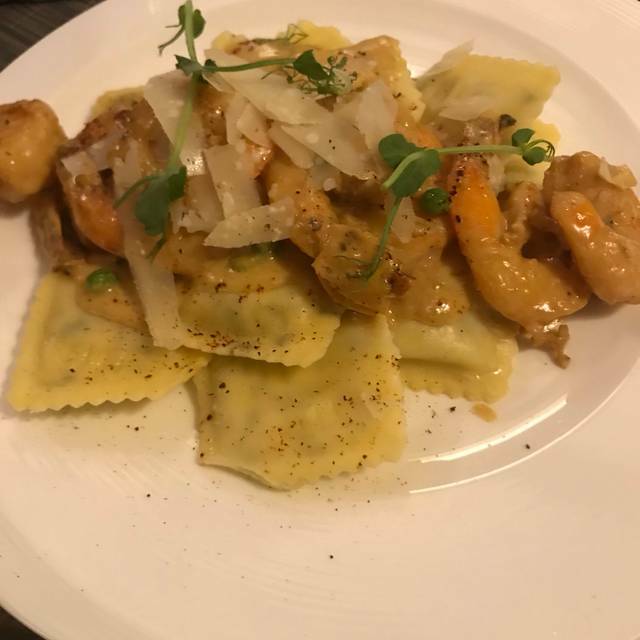 I had the best goat cheese stuffed ravioli and shrimp that I’ve ever had in my entire life. If you’re looking for a place to have a fine dining experience this is the place! Awesome service and amazing food & beverage. It was a very nice lunch! We went for a light lunch and had a great outing. Service was impeccable and food was amazing! Server was lovely but the kitchen took an hour to make the food. No apologies, or communication by anyone of the length of time. I understand this is “vacation and island time” but an hour with no one checking on you and nothing to drink or eat is not okay. We chalked it up to them getting back into the rhythm after the storm. We also ate breakfast here. Breakfast was delicious but again, extremely slow. Only got one cup of coffee. Never once asked if I wanted a refill. Great food, excellent service. Jorge, our attendant was superb. Nice and very knowledgeable. It is essentially a country club grill. Zafra is permanently closed! Ev n though they accepted two reservation more than 10 days in advance. We made a special trip to the restaurant only to find it boarded up. Not happy! It couldn't be better. The view is oustanding. The food great. rabbit pasta was amazing. mahi mahi very good. mousse and warm chocolate cake were exceptional. parts of meal definite 5 star. I was astounded that we were charged $63 for bottled water - seven bottles at $9 each. There were five adults at the table, and all had wine or cocktails, so no one was guzzling water at the rate of over one bottle per adult or anything close to that. We were gouged, no question about it. I don't intend to return. The required 20% tip for a party of six or more also didn't help, especially given the mediocre service - entrées were served an hour after appetizers, and those in the party who hadn't ordered appetizers were famished when their food arrived. The food is average. We were notified on 31 Dec. that there would be a special menu for New Year's Eve. It was not stated on their website that this was the case. We decided to go and spend the extra for the night. When we arrived we were shown a very elegant dining room and were greeted by the hostess. We were brought out of the dining room (at the time there were only 6 people in the dining room) and led across the veranda into the a very nice bar area. We turned left and we were brought to a table that was set up very nicely for two. The problem was that it was set up in a lounge area that were sharing with an approximately 14 person party that was not there for the NYE dinner. They were having a great time and were watching a large screen TV of a football game. In the corner one of the teenagers of the group was in a corner sleeping on a chair. It was to say the least not elegant and not what we expected for a special NYE Dinner. We did something that we have never done before and that is to leave the restaurant. We felt a little embarrassed to be treated like second class people. On the way out we discussed our incident with two people who seemed to be connected with the golf club or restaurant. They were very nice and offered to have us come back and they would treat us to drinks. They also volunteered to take us to the restaurant and make sure we were seated in the dining room and not some other area. I told them that in the instant we were probably too disenchanted and would have a negative feeling to eating on that evening so we left. I might add that when talking on the phone the person stated that we would be seated in a certain room. However, never having been to Zafra I was not aware that it would be in the lounge area with people who would not be eating off the NYE menu. We didn't have the opportunity to go back as we had reservations at other restaurants and were going home four days later. We go to Zafra at least once a year on our annual vacation to Dorado. It never disappoints and whoever happens to be vacationing with us that we take there for the first time rave about it and are surprised that there could be such a good restaurant in Dorado. If you are in Dorado, don't miss it. I can't comment on specific dishes because the menu changes but everything is good. We had visited this place once a long time ago and it was pretty good. This time it was a disappointment. Our server was rude when asked about recommendations. Loudly saying "chicken is chicken anywhere". He was too rushed to respond to our questions and we had to wait while he was joking around with another table whom he clearly knew. We had to order dessert from a busboy. Food was ok but nothing spectacular. Room was too cold. You will find a range of prices in the wine list but not good values (A $15 bottle was $45). In the end we spent. $200 for an appetizer, two entries, dessert and a bottle of wine. We will not go back. We have dined at Zafra before and this restaurant never disappoints. Their waitstaff, most especially Miquel, is always outstanding and makes the dining experience a luxurious affair. We had a wonderful wine which complimented our appetizers, Pumpkin soup, and then moved on to the special, Yellow fin tuna and filet mignon. The waitstaff is near you but you don't notice them and never have to ask for ANYTHING! They know when you need water, they never interrupt you when you are having a conversation and are extremely attentive without being obnoxious. Prices are slightly higher but no different than a good restaurant in the Boston area. Well worth the price and the service cannot compare anywhere else on the island. A wonderful experience. As for Miquel Mateo you will be glad you did! We had a lovely meal for 7 at Zafra. The ambiance was great, a very intimate space but nicely decorated with a bit of the history of the old plantation. Our server was extremely attentive and great with our small children. In fact, there is a kids club in the clubhouse where the restaurant is located with videos, games, and activities for the kids. Ours chose to stay at the table, which was not an issue. The food was very good and reasonably priced. It's a great dining experience. Most people dine later in Puerto Rico, so for our 6:30 reservation we had the place to ourselves. It started to fill up closer to 7:30 but was still quiet and intimate. Thoroughly enjoyed. We visit Dorado once a year and always make our Zafra visit on our last night before we leave saving the best for last. Dorado has surprisingly good culinary offerings for a small tourist destination but Zafra is at the top-a delicious elegant meal worthy of a top restaurant in the states in a beautiful tropical setting. The tuna tartare appetizer is served on a bed of dry ice (what a presentation). I didn't hear anyone in my party complaining about the food. Highly recommended. We had a great experience at Zafra on our third anniversary, it was perfect. The big plus was that we were able to bring along our 4weeks old baby boy without any inconvenience. Great service ambience and food for a special occasion!!! Made a reservation on OpenTable but when we arrived they told us the only table in the only two person table had reservations. They made us sit outside even though there were only about 3 or 4 tables of the 15+ tables in the dining room in use. While we were there, no one showed up to claim the reserved table in the dining room. As for the menu, we had looked at the menu on OpenTable, which was nowhere close to the actual menu. We ordered a stuffed chicken and tuna entree. The tuna was ordered medium and arrived extremely overcooked and overly salty, the spinach that came with the tuna was not well prepared. The stuffed chicken entree was overcooked, dry and extremely salty. Definitely not a pleasant experience. Everything about Zafra is outstanding. The food, service, and atmosphere leave nothing to be desired. It is simply exceptional! My first expeience and we were pleased with the service. Was outstanding. Food was extremely impressive. 100% Impressed. We especially enjoyed the stuffed chicken dish. This was a great place for the family. Service was terrific and it was great to have an outdoor option. staff just takes you over in a golf cart. We were really not expecting what we found. was still island casual. The crab cake appetizer and bean soup were really special. it's rated number one in Dorado, and we really enjoy--but this is finer cuisine in a much nicer atmosphere. Great find. Excellent service, it was consistent through the night. We were abundantly reminded that the chef could prepare anything we wanted if the menu was no to our satisfaction, furthermore that we could make any combination of plates in the menu. The food was very good and the portions very reasonably sized. The wine selection is limited, either high or low end choices. Also a little bit pricey. Overall is a great choice, will go back for sure but will bring a small group to share the experience.